If you are looking for a Whippet or Greyhound collar look no further! We believe you will love this one! FREE Shipping and 10%OFF with Promo Code: "MARTINGALE10"
If you happen to own a Greyhound, there are specific types of collars designed for your breed. Greyhounds are graceful and powerful dogs. They are also one of the oldest and fastest breeds. Greyhounds are distinguished by their long and slender necks that are usually bigger than their heads. This is why they require special types of collars when putting them on a leash. These collars are specifically designed for their build. Whether it’s for Italian Greyhounds, Whippets or other Sighthounds, there are collars made especially for these breeds. 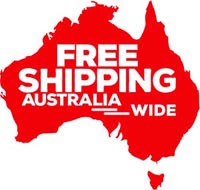 We’ll go over next the two different types of Greyhound collars that you can find in Australia. The most common type of dog collar for Greyhounds is the Martingale collar. 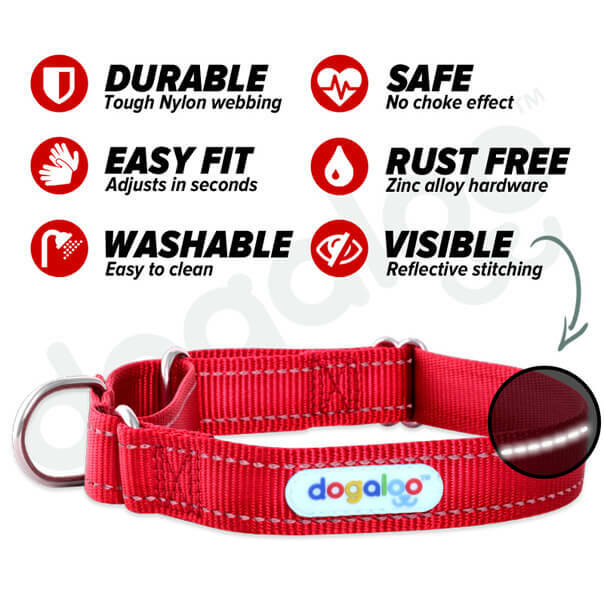 The Martingale can be used on a daily basis and it is perfect for almost all Sighthound breeds. 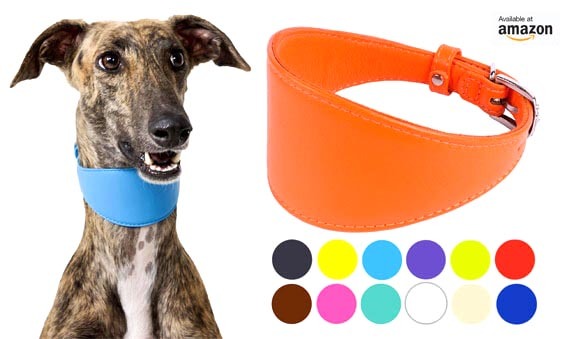 As Greyhounds are usually active dogs, these types of collars would fit their needs perfectly because the design of the Martingale is wide throughout unlike the Whippet or Lurcher collar, thus making it more comfortable for the dog to wear. The Martingale loosely slips over the Greyhound’s head and tightens when it tries to pull itself out of the collar. Martingale collars are also great as training tools because they allow more flexibility for your hound. 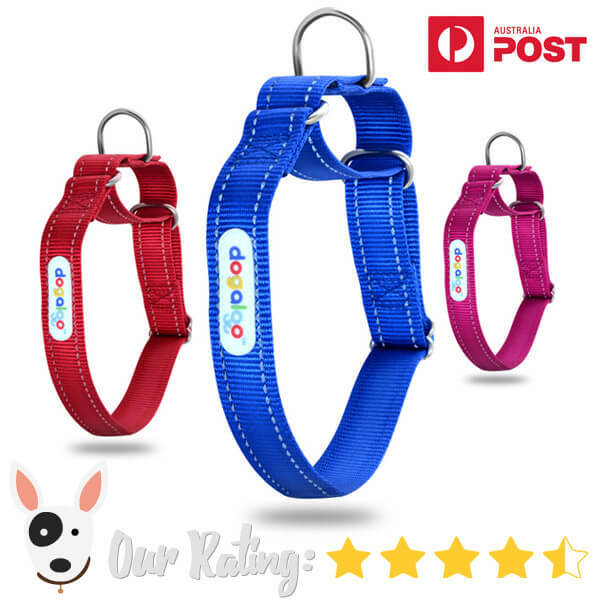 Most pet shops in Australia carry this type of collar and it’s also pretty easy to find them online. Check The Greyhound Collar Here! These Sighthound collars are rarer and are also known as Lurchers. Most of the time, these are used by smaller Sighthound breeds like Italian Greyhounds and Whippets. 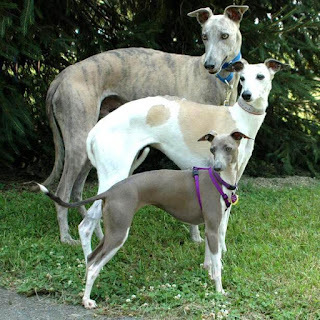 These breeds usually have larger necks and narrower heads than other Greyhound breeds. That is why these dog collars are designed for smaller Sighthounds and can be used for races and other sports. These collars come in a variety of widths and sizes. However, their major function is to prevent your dog from getting loose. That is why the Lurcher collar is designed to be wider overall and narrower at the ends. 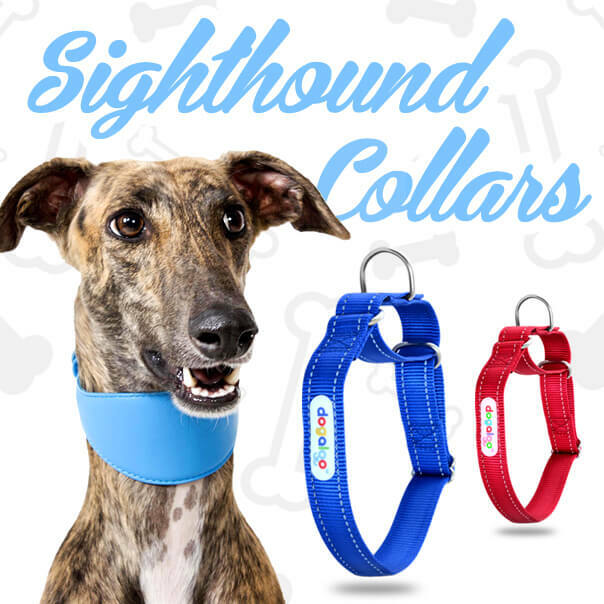 These Sighthound collars are designed to not strain or suffocate while the hound is running. It is made to fit around their neck and will not cut off blood flow. Whippet collars are typically wide in the front and narrowed at the ends where it meets the buckles and usually made out of leather. These collars tend to be difficult to find. Still, many Whippet owners are attracted to this type of collar because of its elegant design. However, these are not ideal for everyday use when walking your Whippet or Sighthound on a leash.